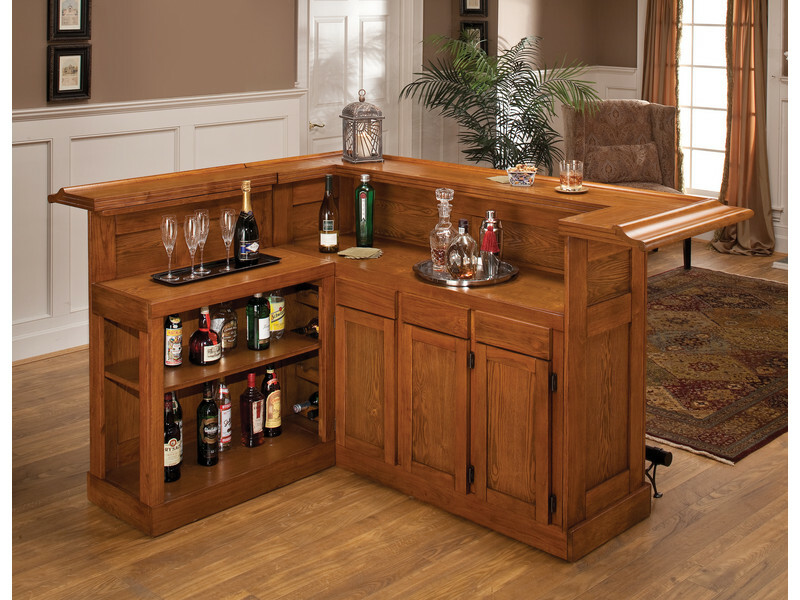 A bar can be the centrepiece of any living room, salon or entertainment room. It’s the perfect place to gather around and play cards, enjoy some good food, or have a relaxing drink at the end of the day. 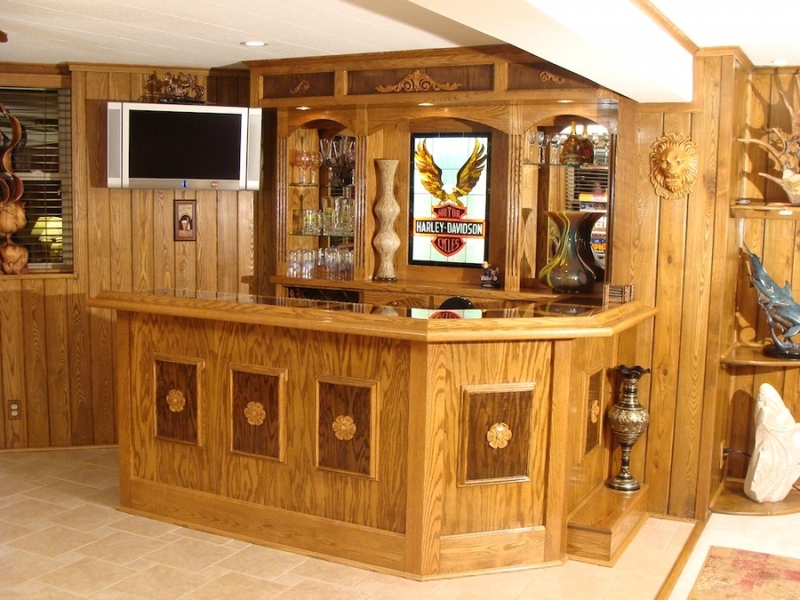 Buying one can be tricky, because all rooms are quite unique and very few pre-made bars will fit your space, and getting one custom made can be very expensive. But what if I told you there is a way of making your own bar and it will cost you less than a fancy dinner for two? Here are some tips and tricks to help you along the way. Before you go off buying a bunch of materials, make sure you don’t buy things you don’t need. Look around the internet for inspiration and you are sure to find something that you’ll like to have in our home. Pinterest and Instructables are great places to look! Once you decide on what style you want (and you might want to consult an expert on this), decide what kind of material you want and the dimensions of the bar. Make a shopping list and don’t forget to include things like screws, nails and any equipment you might be missing (before you go buy equipment, ask around if some of your friends and family would like to borrow you theirs!). Measure the dimensions of your room multiple times to make sure you don’t get the wrong fit. Make sure that all the materials you buy are good quality and, of course, the right dimensions. This is a piece of furniture that you will hopefully be using frequently and for a long time, so to make sure it lasts, try and get the best quality you can. 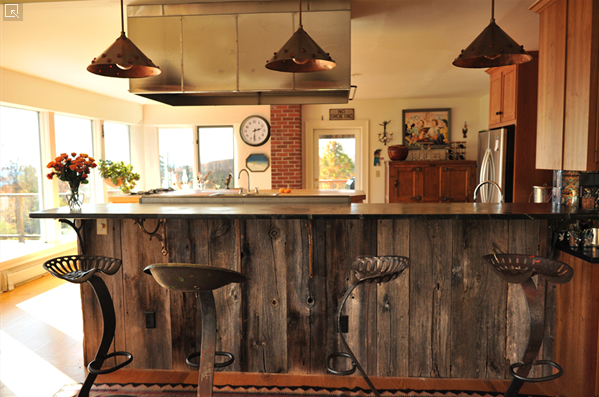 If you’re recycling old wooden beams, check that they are sturdy and will be able to hold for a long time. To ensure the assembly process goes without accidents, make sure you have all of your protective gear. Wear safety goggles, ear plugs and heavy duty gloves. Be very careful when handling sharp tools and if you are painting the wood, make sure you do it in a well-ventilated room and wear a mask to protect yourself. Make sure you closely follow any step-by-step instructions that you find and if you’re not sure how to do something, ask somebody who is more experienced. Okay, so you made the bar and you know where you want it, but how do you decorate it so it fits well with the rest of the room? A marble surface is very popular, but marble is very expensive and hard to work with. Try using marble print tiles instead! Marble too cliché? Get a well-polished, high-shine wooden board to put on top and get that casino vibe when pouring your cocktails. The style doesn’t end with the bar. Stools are another important accessory. Whether you are looking to buy one or make your own, look around for inspiration. New South Welshmen are in luck, because there are many places where you can get bar stools in Sydney or other nearby cities, so do some research and find your best fit. 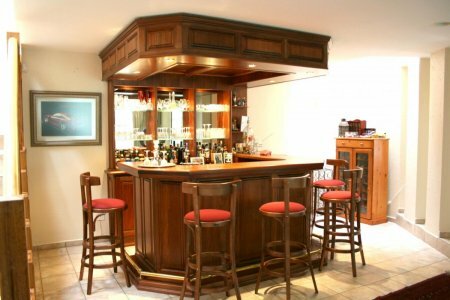 Having a bar in your home will elevate the atmosphere of the whole room and make your house the favourite spot for celebrations and gatherings. Make it right and you will have a solid piece of furniture that will be your favourite place in the house and last you for years to come.